Once the scallops are patted dry, season each side with black truffle sea salt, and pepper. Set aside. Place olive oil and one tablespoon of butter in a medium skillet and allow skillet to warm over medium heat. Work in batches - place the scallops into the pan and sear each side for 1 - 2 mins per side. Set aside and continue until all the scallops have been seared. Add butter, veggie stock, lemon juice, and lemon zest to the skillet and bring it to a simmer over medium heat. 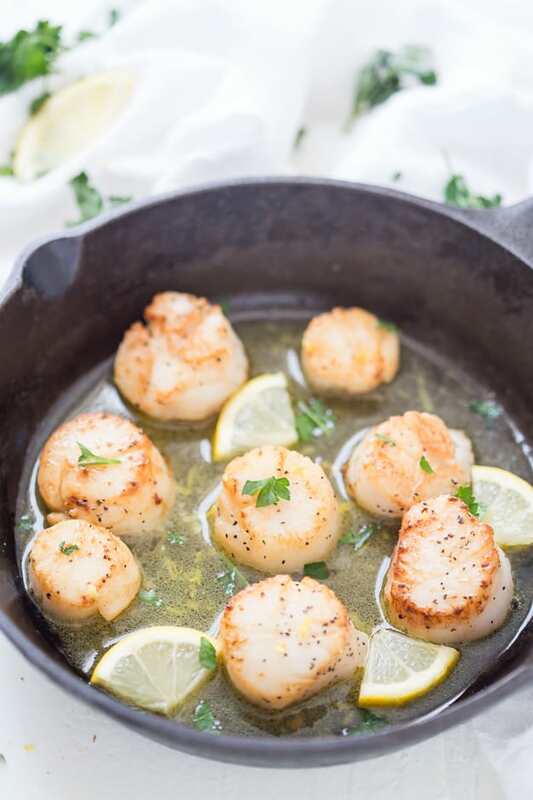 Place the scallops back into the skillet, pour sauce over the top of the scallops and garnish with fresh parsley.